Home » Business » A 97-Month Car Loan? In order to push the sales of new cars, lenders are going to extreme ends. Extreme indeed, think about it paying a car loan for ~8 years. Last month Nakisha Bishop took out a loan to buy a $23,000 Toyota Camry and pay off several thousand dollars still owed on her old car. The key to making it work: she got more than six years—75 months in all—to pay it off. “I had a new baby on the way, and I was trying to keep my monthly payment a little bit lower to help afford child care,” Ms. Bishop, a 34-year-old sheriff’s deputy in Palm Beach County, Fla., said recently. She pays $480 a month for the 2013 Camry, just $5 a month more than the note on her old car. The car won’t be paid off until her 1-month-old daughter is heading to first grade. Ms. Bishop’s 75-month loan illustrates two important trends rippling through the U.S. auto industry. Rising new-car prices and competition among lenders to attract borrowers is pushing loans to lengthier terms. In part, banks see the longer terms as a way to attract buyers, by keeping monthly payments under $500 a month. The average price of a new car is now $31,000, up $3,000 in the past four years. But at the same time, the average monthly car payment edged down, to $460 from $465—the result of longer loan terms and lower interest rates. In the final quarter of 2012, the average term of a new car note stretched out to 65 months, the longest ever, according to Experian Information Solutions Inc. Experian said that 17% of all new car loans in the past quarter were between 73 and 84 months and there were even a few as long as 97 months. Four years ago, only 11% of loans fell into this category. Such long term loans can present consumers and lenders with heightened risk. With a six- or seven-year loan, it takes car-buyers longer to reach the point where they owe less on the car than it is worth. Having “negative equity” or being “upside down” in a car makes it harder to trade or sell the vehicle if the owner can’t make payments. Car makers have mixed feelings about long-term loans. They allow consumers to buy more expensive—and profitable—cars. But long loans may keep some people from replacing their cars, cutting into future sales. JP Morgan Chase and other auto lenders declined to comment. 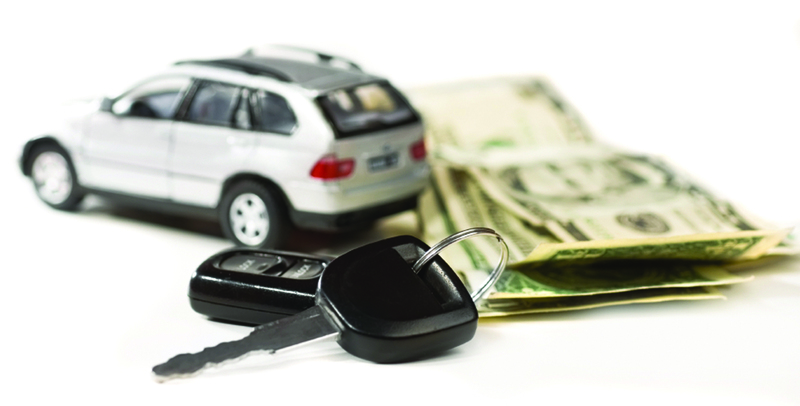 Credit availability has played a key role in the auto industry’s ups and downs. During the financial crisis in 2008 and 2009, banks reined in lending dramatically, which made it hard even for consumers with good credit histories to buy cars. For the last three years, auto sales have been rising, helped as banks have eased credit standards and became more willing to offer longer term loans. Experts say there is an appetite for more risk because banks see limited downside in auto lending. The delinquency rates on car loans are near record lows, and used car values are at record highs. And if a buyer defaults, the bank can repossess and sell cars with limited losses. Melinda Zabritski, director of automotive credit for Experian, said the greater availability of credit is helping the surge in new car sales. The percentage of subprime loans isn’t far below the record level of 2007, and the length of loans is growing, she said. And while the length of the loan may seem long, the average age of a vehicle on the road today is 11 years. Vehicle durability continues to improve and used vehicles don’t depreciate in value as fast as they used to. With increased competition between the banks for business, offering loans longer than 72 months, or subprime loans is one way to compete for new borrowers. “Consumers tend to be monthly payment buyers. One way that lenders compete is to offer longer term loans,” Ms. Zabritski said. She said that people who get the longer loans tend to have good credit scores, and are buying relatively expensive vehicles. Credit unions and independent banks have been more likely to use the long-term loans than finance companies operated by auto companies, Ms. Zabritski said. Ford Motor Credit, the in-house lending arm for Ford Motor Co, has averaged between 59 and 60 months on new car loans for the past five years. Beyond the added risk, longer loans keep buyers from coming back as often, said Margaret Mellott, a spokeswoman for Ford. “We don’t want to keep buyers out of the showroom longer than that,” she said. The length of loans has come a long way since Lee Iacocca, then a Ford regional manager, helped pioneer auto loans in the 1950s. He became a management star by developing a ’56 for $56 sales pitch. The idea: consumers could buy a 1956 Ford for 20% down and $56 a month. The loans were paid off in just 36 months. 50% of College Graduates Can't Find a Job!! Why Germans Hate The U.S - Europe Trade Deal? Selena Gomez Sued By Perfume Company! Alec Baldwin & Hilaria Thomas to Wed!